In the previous post Excluding Non-Resumes: Be Positive I explained how to “think positively” and get non-resumes out of the way when searching for resumes. There’s a different type of “wrong” results that cannot be removed by this strategy. These come from sites that make a special effort to be shown in the search results. 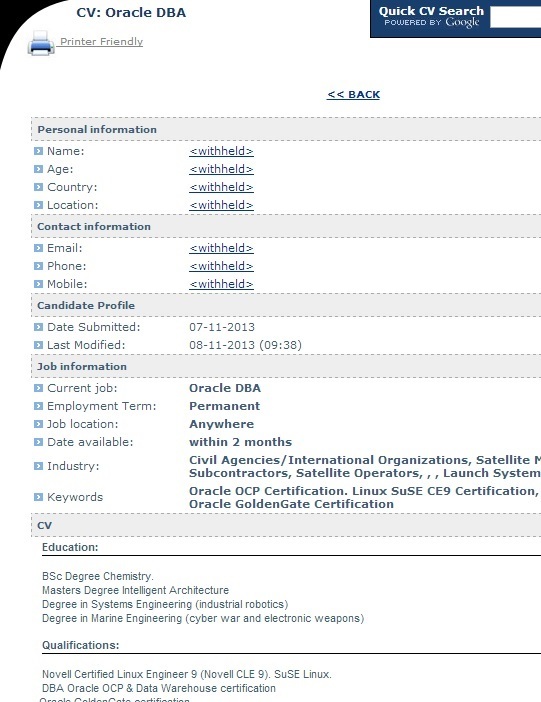 2) “Blind” resumes with some important information, such as the name and contact, removed. There used to be many more “wrong” results across many searches (not just for resumes). Google is improving its filtering out “spam” sites and there’s not as many as before. Still, some show up in the results. In this case though “being positive” may not be the easiest approach, since there are too many variations of contact information that people use on resumes. 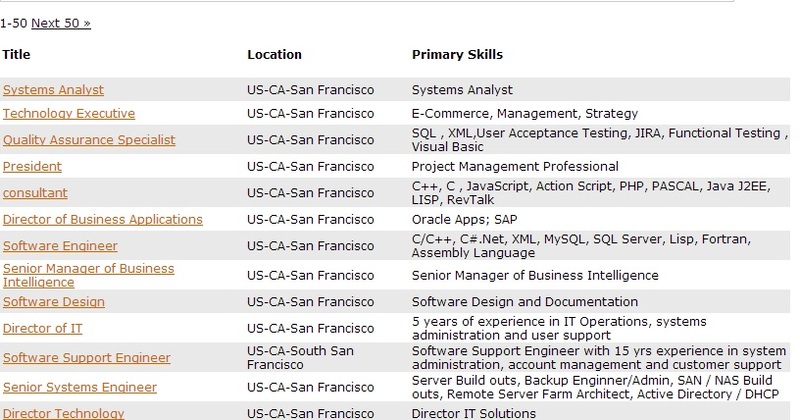 I would also exclude site:indeed.com; while they have good resumes, I think they are better searched separately with Indeed’s own excellent advanced resume search. Google used to have a preference setting to list sites to be excluded from all searches but it was dropped some time ago. Another option to block sites is by installing the Chrome Extension Personal Blocklist. Google will search as usual; this extension will just hide the results from these sites for you in your browser. 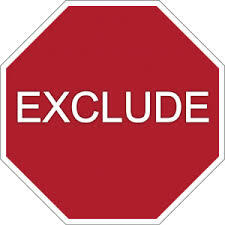 Google Custom Search Engines provide yet another option: all sites from a specified list can be excluded from the results. An additional advantage of using CSE’s is that Google will not bug you with Captchas. If you are interested in a good coverage of Boolean Search basics and hints, check out the live repeat of my “Boolean Strings Basics” webinar along with 2 other popular webinars scheduled in the next few weeks.